The Long Bay Triathlon is a USAT-sanctioned sprint distance competition. Featuring a .5-mile swim, 14-mile bike and 3.1-mile run that takes place at the Huntington Beach State Park located in Murrell’s Inlet, SC, on September 21, 2019. In addition to three miles of beach, much of the park is salt marshes, and that is one of the world’s most productive eco-systems. The swim is a .5 mile, north to south, ocean swim. September water temps will be in the low 70’s or high 60's. Ocean conditions are usually calm and, depending on the winds there is the possibility of some chop. USAT rules allow age group athletes to wear wet suits up to and including a water temperature of 78 degrees fahrenheit. Above 78.1 degrees, USAT rules state athletes may wear a wet suit at their own discretion(up to 84 degree). However they are not eligible for awards. Historically, Water temperatures are in the mid 70’s, I will keep you posted if it drops below 78.1 degrees prior to race day. The bike course is one 14 mile loop. Road surfaces are good and traffic is light. Part of the course takes place on a bike lane and caution should be taken. All turns are marked with 2X2 ft white directional signs with blue arrows. Police will man the Business 17 turn around and crossover. Volunteers will man each major intersection. The run course is an out and back two loop, relatively flat, mostly shady, and should be fast. Depending on the weather humid. Weather - historically October weather has high temperatures in the upper 70’s, with lows in the upper 50's. There is no race day registration. You can register online at the above registration link. Note: On-line Registration for this event closes on 10-1-2019 at 11:59 PM. You can also register at packet pickup on Friday, October 4. Athletes can register on-site at packet pickup on Friday, October 4, with cash or credit / debit card only. Checks WILL NOT be taken. Anyone registering during the final 2 weeks prior to the event date will not be guaranteed a shirt as orders must be placed at that time. Additionally, if you wait until packet pickup to register Race T-shirts and sizes are on a first come first basis and probably will be gone. Packet pickup will be on Friday, October 4. 2019, from 3pm-6pm and on Saturday, Race day, from 6am to 7am Race Day Packet Pickup will take place at the transition area located on Huntington Beach State Park. ALL athletes must pick up their packets prior to racking their bikes on raceday. The Long Bay Sprint is a USAT sanctioned event. USAT members-You are required to show your USAT License card and a government issued, valid Photo ID prior to start the registration process or pay the one day membership fee ($15). 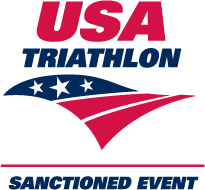 Non-USAT members – You are required to show a Photo ID and purchase either a one-day or an annual USAT membership prior to starting the registration process. Participants will receive a security wrist band. Do not remove the band until after you pick up your bike post race. It designates you as an official entrant and is a mandatory security ID. All participants are expected to pick up their own packets. NO EXCEPTIONS. 1. RACE BRACELET: this identifies you as an official participant of the event. You will be required to put it on your wrist immediately and should not take it off until after you have picked up your bike and gear from the transition. 2. RACE NUMBERS: You will be provided with three numbers. • Bib number – the larger rectangular number that must be worn during the run. Most athletes attach it to their race suit or race belt with safety pins which we will provide you. Please make sure it’s in front of you during the run and when you cross the finish line! • Bike number – a smaller rectangular number with adhesive on the back that must be attached to your bike and visible from both sides. It must be affixed to your bike before you enter the transition area on Saturday for bike check-in. • Helmet number – a small rectangular sticker that must be firmly affixed to the front of your helmet. 3. SWIM CAP: As soon as you get your race packet, take out your swim cap and verify that you have been given the correct swim cap. • Swim caps are required on race day and are color coded to indicate your swim wave. No Band, No transition access, No Race. Long Bay Sprint Triathlon features a well-marked transition area with plenty signs, space and excellent athlete flow. With easy-to-read transition area signs it should be easier than ever to find your bike on race day. Each row is clearly marked. In addition, Swim In, Run Out, Bike Out and Bike In are clearly marked with large, visible signs. The transition area is centrally located directly west to the swim exit. The average time to run from the swim exit back into the transition is approximately 30 seconds. The run back into the transition area will be easy on your feet, with the first half sand and the second being grass. The transition area opens at 6 AM Race Day Saturday, for bike racking, and will close at 7:30 AM. All bikes must be racked on Race Day Saturday . There will not be overnight security to guard all equipment. Restrooms are easily accessible to the transition area. Only athletes who display the wrist band will be admitted. Bikes must have frame number attached prior to entering the transition area. Bikes cannot leave the transition area after they have been racked. Any bike not properly displaying the bike frame number will be removed from the transition area. Access to the transition area will not be allowed until the last athlete has started the run. TRANSITION AREA CONDUCT: For safety reasons, you are not permitted to ride your bike into or out of the Transition area. You must walk, run, or carry your bike to the mounting and dismount designated area. Please watch out for other athletes as you move through the Transition area and follow the instructions of race officials and volunteers. All race gear must be labeled and stowed neatly under your bike space or adjacent to it. You must know the course and flow of traffic in the Transition area. All bikes should be removed from the Transition area as soon as possible after the race. IMPORTANT PLEASE!! . Please do not "water" the local grass. If caught, you will be DQ'ed. The Huntington Beach State Park is glad to have the event at their location. The Huntington Beach State Park is not affiliated with the LBST. They are a self-supported park, so they survive on their park fees. ***If you are competing , or volunteering, this does not apply to you. This only applies to you if you are not competing , or volunteering. Admissions: $5/adult; $3.25/ S.C. Senior; $3/youth age 6-15; Free for children 5 and younger. SOUTH CAROLINA STATE PARKS ANNUAL PARK PASSPORTS WILL BE HONORED AS ALWAYS. Although this didn't seem to create a problem at last years race, I want to make sure you are aware of it. Parking: Parking is located adjacent to the transition area. Driving Directions: From Murrells Inlet: Drive 3 mi. S. on Hwy 17. Park entrance is on the left.From Georgetown: Drive 20 mi N on Hwy 17. Park entrance is on the right. REFUND POLICY: A refund of your race entry fee, less a $25 administrative charge, will be made by check upon receipt before Sept. 14, 2018, of a written or emailed request. After September 15, 2019, no refunds will be available for any reason. Please understand this policy prior to signing up for the race! There are No Race Transfers or substitutions. Selling of your race entry slot is strictly prohibited. If you do sell your race slot, you will be disqualified from the race. Entry fees are not transferable to another person. Other Stuff: The race course and timeline can be changed at the race director’s discretion. All distances where determined GPS measurements. There is not, at this time, a scheduled rain date, Rain or Shine the race will go on. Concerning inclement weather, the race director reserves the right to alter/modify the race/course for safety concerns. In the case of a “Natural Disaster"/Local Incident/Terrorist Act, there will be No Refunds of race entry fees. Each athlete must accept any such risk of their entry fee paid. There is no complementary race entry to a future race. All monies collected are used to develop and produce the event, including all race supplies, staffing, and administration. It is our intention to make every effort to produce a fair, safe and exhilarating event for all. Overall event safety will be the determining factor for event cancellation. Race director further reserves the right to reject or accept any race entry.